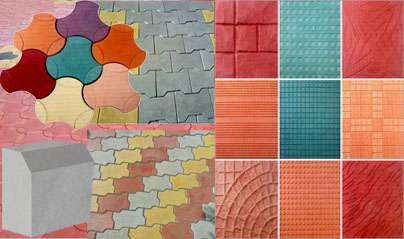 Manufacturing Of Paver Block, Cement Tiles, Cement Piller, Rufe Tiles, Wall Tiles And Kade Stone. Sri Krishna Industries Was Established In The Year 2005. We Are Leading Manufacturer And Supplier. We Are Persistently Engaged In Manufacturing, Supplying And Exporting A Qualitative Range Of Sillimanite Bricks. Our Clientsare Highly Appreciate These Bricks For Their Excellent Mechanical Strength, Moisture & Chemical Resistance, Flame Retardant And Seamless Finish. The Range Of Silica Bricks We Supply Is ISI Certified And Contains 95% (Max) SiO2. These Are Designed To Perfection By Their Preparers Using China Clay, Kyanite And Saw Dust Of Superior Quality. Our Refractory Bricks Are In Great Demand And Are Popular Among The Clients For Reasonable Prices And Optimum Quality.